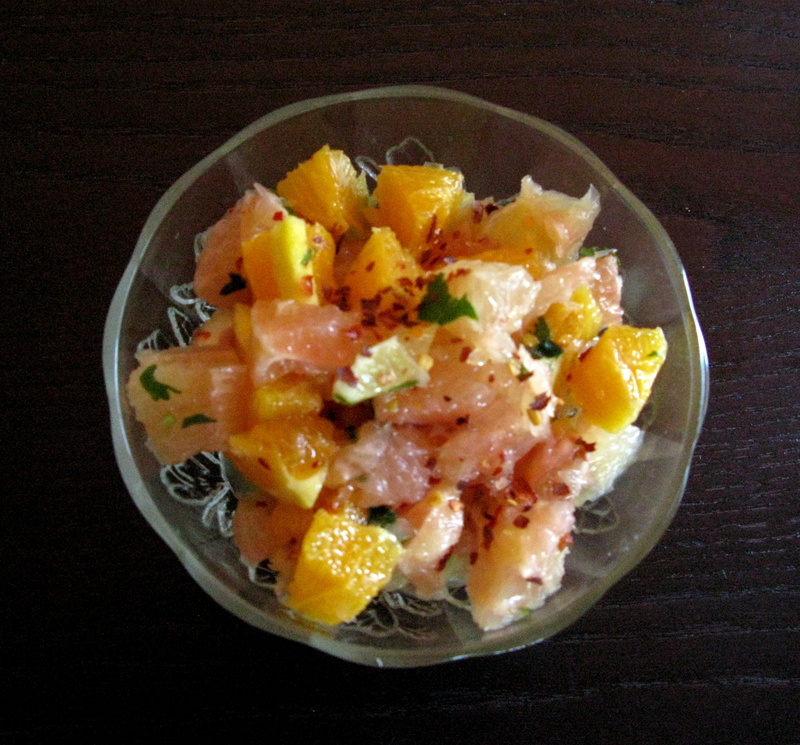 This fruit salad is perfect for a summer brunch. Packed with Vitamin C and a number of other essential nutrients, citrus fruits have several medicinal and nutritive properties, which help in treating or fighting against several diseases. On a recent trip to my local farmer’s market, I came back armed with these organic fruits and came up with this easy fruit medley. A sprinkle of salt, pepper and red pepper chilli flakes. 1. Cut all ingredients into small cubes. Add to a bowl. 2. Add salt, pepper and chilli flakes according to taste. 3. Add the orange juice and mix all ingredients well. 4. 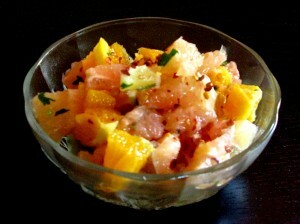 Before serving, add a handful of chopped coriander/cilantro leaves. Recommendations: Use organic fruits for a fresher taste. 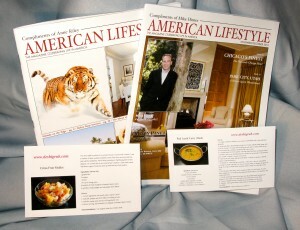 Featured in “American Lifestyle” Magazine (above) – Oct/Nov 2010.